Replace your restrictive and boring factory 2013-2014 Ford Mustang Upper Grille with the aggressive looking ROUSH® High-Flow Upper Grille! 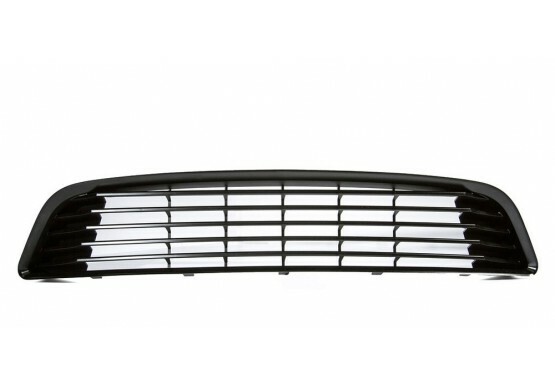 This high-flow upper grille will upgrade the look and function of your 2013-2014 Mustang. 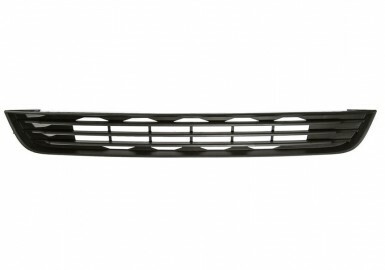 The grille replaces the stock grille for the Mustang (removing the stock fog lamps if your Mustang is equipped) to add a sleek styling element to the front of your car. 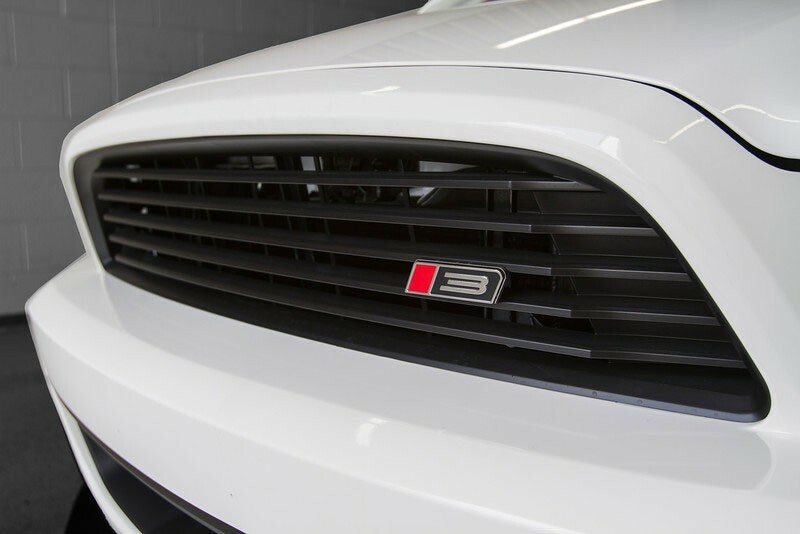 In addition to an updated look, the Mustang grille also increases air flow to the radiator over the stock grille approximately 40% on the GT/V6. The upper grille is made from injection molded ABS (acrylonitrile butadiene styrene) with a black stipple finish for superior appearance, toughness, light-weight, heat resistance, and impact resistance. The High-Flow Upper Grille is designed around original manufacturer CAD data for optimum quality and fit. As a result, installation is quick and easy. There is no time consuming trimming or sanding required as there is with our competitors' 2013-2014 Ford Mustang kits. 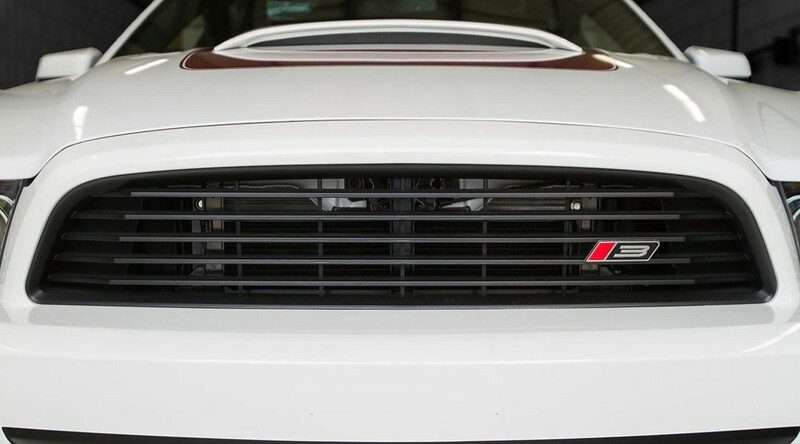 This grille fits 2013-2014 Ford Mustangs including V6, GT, Boss 302, and California Special. It includes all required hardware, templates and detailed instructions for installation. We also include the ROUSH Limited 90 Day Parts Warranty. Want to complete the look of your 2013-2014 Mustang? 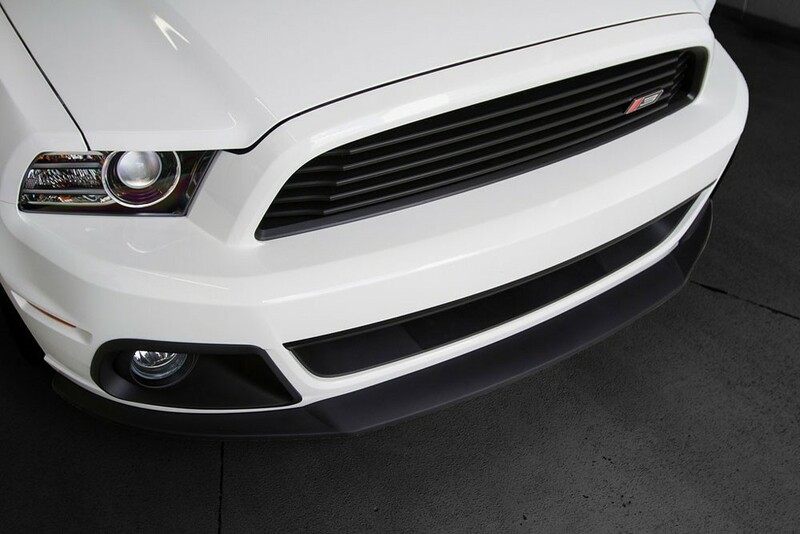 This upper grille goes great with the ROUSH High Flow Lower Opening or the ROUSH Lower Grille Kit! So why wait? Add sleek styling to your Mustang now!